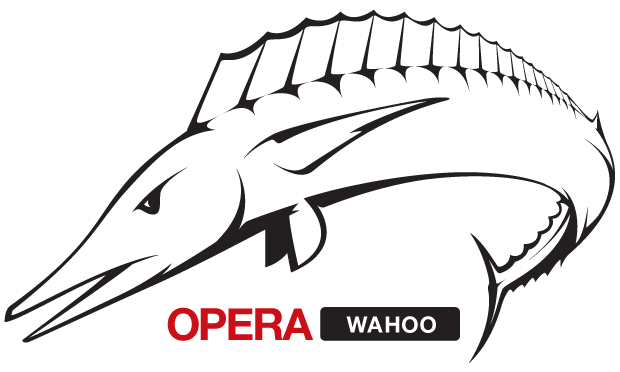 Just a week after releasing the final version of Opera 11.50, here comes the pre-alpha build of Opera’s next generation web browser: Opera 12 (codenamed “Wahoo”). Although it has no new features or major improvements over Opera 11.50, the following version fixes nearly 40 bugs, which is always a good thing. Anyway, while we wait… What are some of the major features you would like to see in Opera 12 and is hardware acceleration one of them? They have already improved it vastly. Do you mean more speed? That can be done by moving the servers closer to the demographic on non European users. Opera Next needs to update faster. Except of course that Opera is faster without Hardware acceleration that most other browsers WITH hardware acceleration…. I’m seeing Opera significantly faster at most stuff. Except of course Opera is NOT faster with hardware acceleration on graphics intensive tasks. Mr_Jelly, I assume you missed the implied word “graphics” that goes before hardware acceleration. LOL, linking to a Microsoft test that shows a Microsoft browser is a good light. Are you a retard? Angry Birds is not really playable in Opera. Die Siedler Online is also not playable in Opera because its to slow in Opera. I use Opera since Version 6.5 and its my main browser but some things just don’t work properly in Opera. Opera is a lot faster in the Peacekeeper benchmark especially the rendering & complex graphics sections than the other browsers. Does need HWA though I guess part of the delay is bringing it to Windows XP & Linux etc. Wahoo are some of the fastest fish in the sea so HWA would have to be a must. I’d also like more HTML5 support (parser in particular), less bloat (like unneeded features, ie torrent client) and MOAR SPEED! How do you class the torrent client as bloat? How much do you think that it really adds to the size? Chrome has a great implementation of Print preview. Speed dial is great, all the other browsers copied it. Tab stacking is useful at least for me. Firefox 4 copied Opera apparency. OLD post, from around ver 11. OS in the world, google chrome surpased 10% and apple made iPad. – mouse gestures (WTF?!? ), auto image resize (WTF WTF WTF? 6) autocomplete requires deep rework. passion and with some snidy remarks you make yourself proud out of it. I wish I could bless you with the gift of appropriate conversation. Did Haavard kill your dog? Or something equally inappropriate as your language? It’s a mystery to me. However, it is fun seeing such blatantly ignorant rants, accusing others (and a specific person) of the same behavior. I think he said once that he’s an Aspie (has Asperger Syndrome) or some other form of autism. Might explain why he keeps reposting the same thing over and over. In his case he has developed an unhealthy obsession with Opera. When he periodically fails to get his treatment he’ll lapse back to that obsession, and you see the result here. That is not a really nice thing to say. It is he’s opinion. He shouldn’t be classified as anything for giving an opinion. yet another ‘first and only post’ by disgruntled opera employee hiding behind a proxy? Doc, Guest, Disqus84763 and Mikah and some other turds here is the same person :) i wonder how much extra it pays to do this stuff after hours? hey, opera blog comment manager? Yes, everyone is out to get you. No paranoia here, aspie! Funny to see how little has changed indeed. With Nobody, that is. Still obsessing and ranting pointlessly. With a list that is so far from hitting the mark that it’s just sad. I love reading this guy’s post, they’re all laughable! I disagree with the dumbing down point. If “Dumbing down” means simplicity then please make it as retarded as possible. Dragonfly has really improved. It has some nice features. Why are you trying Opera in a corporate environment? You are being too generous. I especially disagree with point five. Dumb it down as much as possible so that everybody instead of nobody can get into Opera. They still give you enough options to make Opera your own, right? Long time Opera users won’t be affected by this anyway. mostly they DONT give such options – for a user dependant on it it means ‘adapt to opera without options i loved’ or ‘go elsewhere’. rather pathetic market share shows, that option two is popular. removing used options for no other reason that ‘give us a reason that we shouldnt do it’ without providing fallback is something that even apple cannot do – see FinalCutX fiasco. this is dumbing down that i talk about. Compare the number of configuration options with any other browser. IMO, Opera provides plenty of them. Can you give any feature that has been removed in the last years? Likely there will be some, but I can’t think of one, for the moment. type favbrowser into your adress bar and press enter, then do it in opera 10.
what is extraoridinary is that opera still keeps ‘server autocompletion’ dialog in settings, while it does absolutely nothing now. there might be some hack to bring it back, but it isnt obvious and for someone who relied on this option this is a big loss. for other examples, there are opera forums to look for, but quickly before opera censors remove these threads. * Pressing f2, typing favbrowser + enter gives a search result, as expected. * Pressing f2, typing favbrowser/ + enter gives favbrowser.com thanks to server autocompletion, as expected. This is not an example of a removed feature. That is not auto completion. Server name completion used to be like FF implementation where it guessed the prefix and suffixes of an url. Now it does nothing. 1 You’re missing the point. Nobody gave an example, I learned him how to use Opera correctly in that situation. 2 It is not because the behavior is not exactly like another browser that the feature is broken. 3 When I type wikipedia/ and press enter, wikipedia.org is loaded. Indeed, not everything has a .com. You dont get it. It used to work without symbols. FYI: Empty Cache. Try en.wikipedia/ – even with cache. Opera is too dumb to solve it quickly. And your no. 1 point does not make sense. But I am saying I could have typed: skype and press control + enter. Fine that shortcut adds the suffix .com . When I do / as a suffix it works down from .com.au, to com, to gov etc. Luckily skype redirects to .com from .com.au. Say I have a .gov address. Now that is third on the list. I put the slash to say a very popular site that ends in .gov. Opera would first go to .com.au. See if it gets a reply. Nope! try .com . Nope then finally go to .gov. The question is what happens when there is a site with a registered .com and I want .gov. Opera. wikipedia/ hit enter: Resolving………Found! http://teststartonline.com/d/w3i7k605 — wtf? Did you try favbrowser/ ? When other browsers remove or change features without the ability to get them back, or force people to adapt: Good! When Opera does it: Bad! The only thing concerning html rendering – please fix the percentage bug! Improvements to notes : colour labels, selectable font & text size. It looks good until is in full size screen than all style falls a part “looks ugly”. Run mileage is getting better, that’s very important (how long can be used without any hiccups). One question is this fixed design or it will go another faze of strange turn around. Opera should stop playing substitute teacher and get a grip, again it present a half job done design. I’m just saying until you got something solid, use what got, don’t rush it OK. Or put a poll out what design can attract more users, simple as that. I don’t think the “some language” to English translator you are using is very good… I don’t understand anything you’ve written so far. If Guest it’s not using Opera then it should be and my English was 99% spotless. Only one mistake a part it should be apart the rest is dead on, capish. You’re not making sense. Maybe you should stick to posting comments on local sites in your own language. And for god sake get more respect, when i test Opera, web site actually slow down all home network, that web browser sniffing from web sites if user use Opera is poison and hurting users at the end. Hardware Acceleration will most likely make it into O12. I’m personally interested about interface changes Haavard mentioned on twitter some time ago – redesigning panels. Customizability. LOTS of them. I hope O12 can allow me to disable address field lowlighting, image downsizing, and lots of other similar “I want to be IE” annoyingly bad UI.